The late Nelson Mandela will certainly be remembered as one of the best negotiators in history. He was “the greatest negotiator of the twentieth century,” wrote Harvard Law School professor and Program on Negotiation Chairman Robert H. Mnookin in his seminal book, Bargaining with the Devil, When to Negotiate, When to Fight. 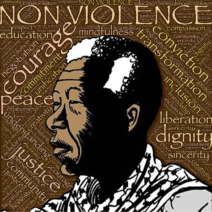 In examining decisions made in conflicts with evil regimes, where lives and liberty were at stake, Mnookin also compares Mandela’s decision to initiate negotiations with the South African apartheid government that had imprisoned him for life with the imprisoned Soviet dissident Natan Sharansky’s decision not to negotiate with the KGB for his freedom. The decisions may have been polar opposite, but the outcomes were equally admirable. This is why he goes down as one of the best negotiators in history. Former British Prime Minister Tony Blair offers negotiation skills tips for resolving conflict on the international stage. In this article drawn from negotiation research, we examine Tony Blair’s ten conflict management principles and how they relate to the dynamics of negotiation and negotiation scenarios that are common at the bargaining table. Program on Negotiation faculty members discuss the standoff between US President Barack Obama and congressional Republicans over the government shutdown. The negotiation scenarios facing President Obama and congressional Republicans are discussed with reference to potential negotiation strategies and bargaining tactics that each side could employ to achieve its objectives. Sometimes negotiators are faced with the unenviable task of bargaining with a counterpart they don’t like, mistrust, or even worse, think is evil. In this article, Robert Mnookin’s book, Bargaining with the Devil, is discussed with reference to conflict management and negotiation strategies that can be employed to deal with difficult people. Who do you think is one of the best negotiators in history? Leave us a comment. I am grateful for this analysis of Mandela’s critical role in the global transformation of human consciousness in sync with that of his tortured country. While many care not to revere this aspect of his role relative to the political and economic legacy of his negotiation. Yet for institutions like this one to champion this attribute of Mandela in an institutional manner, is greatly appreciated.